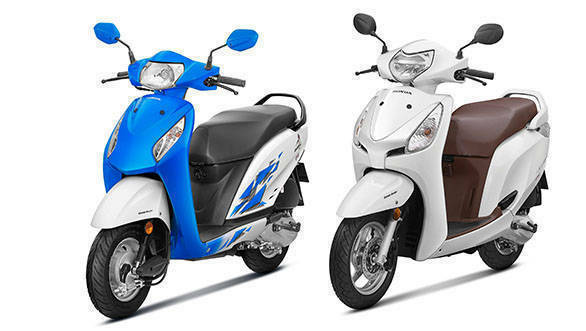 Honda Motorcycle and Scooter India (HMSI) has just crossed the 1-crore sales mark for two-wheelers in the Western region of the country. This number is the cumulative sales figure for HMSI in three states, Maharashtra, Gujarat, and Goa. Honda states that while it took 14 years to achieve the first 50 lakh sales, the latter 50 lakh sales took just three years. The Western region is also among the highest in scooter purchase, with 45 per cent of the region's total two-wheeler sales. The national average for scooter sales is 32 per cent, it stated. HMSI also states that its scooter plant in Gujarat is the largest in the world. Honda recently launched the updated Activa i and Aviator in the country. The company also recently announced that sales of NAVi had crossed 1 lakh units. Continuing to win the hearts of the customers in West, Honda Motorcycle & Scooter India Pvt. Ltd. (HMSI) - the No. 1 two-wheeler brand in West India, announced that its cumulative sales in the Western region (Gujarat, Goa and Maharashtra) has crossed a phenomenal 1 crore unit mark since inception in 2001. Noteworthy, that while it took 14 years to delight the first 50 lac customers, the latest 50 lac customers added in just 3 years. Thanking customers for their trust and talking about this landmark feat, Mr. Yadvinder Singh Guleria, Senior Vice President  Sales & Marketing, Honda Motorcycle & Scooter India, said, "Honda family takes pride in welcoming 1 crore valued customers in West and thanks them for trusting Honda for their daily ride. We remain committed to delight our customers through our products & services and wish them the joy of riding a Honda." Honda has changed the way customers ride in West region. Honda is the undisputed No. 1 choice of all West region with market share of 47% in two-wheelers industry. The scooterization in West is led by Honda as 45% of customers have bought scooters compared to 32% average in pan India. Nearly every 2nd two-wheeler customer in West is buying only a Honda 2Wheeler. Honda has set up its 4th plant - the World's largest Scooter only plant in Vithalapur, Gujarat in 2016. With an annual production capacity of 1.2 million units, Honda has created 15000 new job opportunities in Gujarat. To promote the road safety, Honda has adopted a traffic park in Yeole, Nashik. Honda has also educated over 2 lakh individuals of all age groups in West region on safety riding activity with special focus on empowering females & kids. More than business, Honda strives to be a company that the society wants to exist. Honda is working towards social welfare and has undertaken various CSR initiatives in the fields of rural education, women empowerment and curbing child labour. Infrastructure support has been extended in form of construction of public amenities like street lighting, overhead water tanks, mobile medical units and more.